Welcome to this month’s roundup of items of interest from the internet and twitter feeds. We have a little game of compare and contrast here – with two pipe smokers! 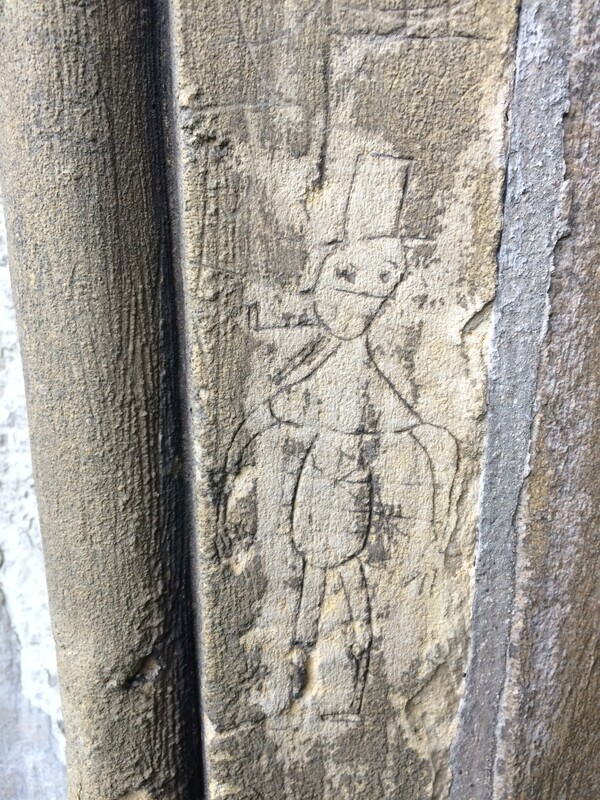 One is from Gloucester Cathedral and the other is from St Mary’s church in Elsenham, Essex. Remember people, smoking is bad, no matter how pleased both these guys look with themselves! A post on Inner Lives about a new book about medieval magic. Stunning prisoner graffiti in Palermo. 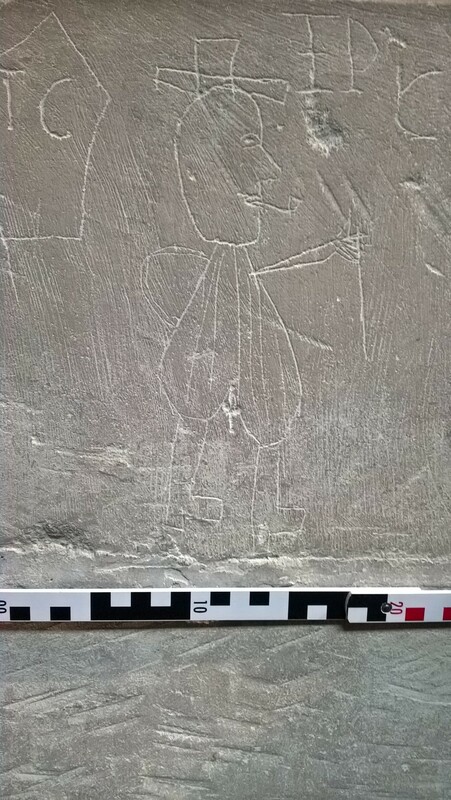 Alison Fearns talking about the Creswell apotropaic graffiti on the BBC Radio4 ‘Sunday’ programme and the Some Other Sphere podcast.